Thirteen years. Omg has it been that long. near and far...expanding my YouTube horizons. Nice telescope! Will it find programmed points? I was reading the other night about using a 300 mm lens to take pictures of all of Orion Nebula (M-42). The low light pollution of that area is a blessing. I went to look for it just now to link it here and...huh? It's vanished! It's been taken down from YouTube for a copyright claim. It won't play on the Eames Office's own website either (they uploaded it to YouTube.) There's no mention of the estate losing the copyright on the Wikipedia page for the film. I'm stumped. Does anyone know where I can still find it online? If not, I dunno, maybe TFL really will have to do an ants to asteroids film to compensate for the public losing Powers of Ten. It's a crime that somebody spirited it away. Jeff P - Yes it will find programmed points and can also track objects once the tripod and telescope are meticulously oriented. I have been looking at lenses in the 500 mm range and there are some OK ones even as cheap as 100 bucks - but you really need to spend at least $500 for good optics. 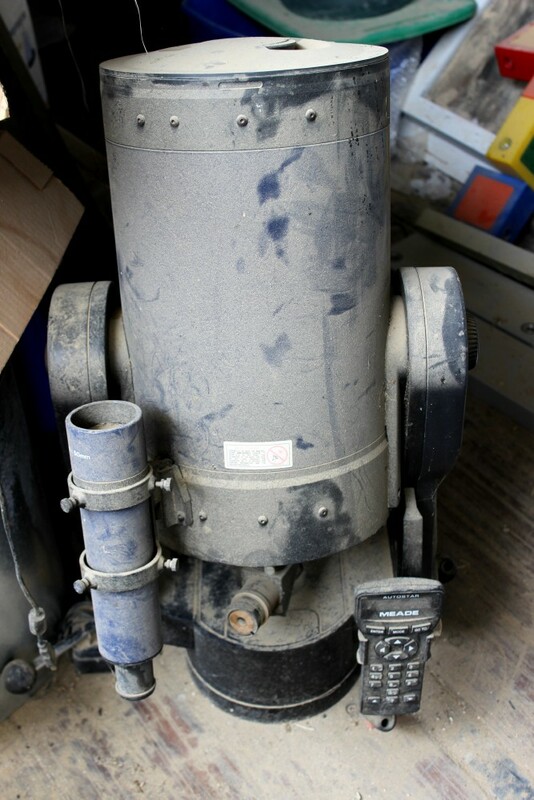 I decided to start cleaning up my telescope because it has excellent optics and is 2000 mm. Leilani - here is an interesting short film about the true scale of our solar system. https://youtu.be/zR3Igc3Rhfg Jon P - the openings have all been sealed and covered (although next time I put it away I will bag the whole thing). I checked the lens and it looks brand new without a spot on it - good thing I at least kept the lens cap on. I had some dream last night that I do not remember about housekeeping. Which I thought last night that I am glad I am not your housekeeper. Because you have so many different things stashed away that what average person would know what that dirty ole thing is. Would not want to discard the wrong thing. National Geographic said a genius is someone who does things. And your mind takes you to do all sorts of curious things. Thanks to the link to that film, John. Fantastic idea for a demonstration. It also makes a dandy art lesson on scale & perspective. An update on the Powers of Ten film I mentioned: I contacted Eames Office in LA through Twitter, they looked into it & got back to me to say a false claim of infringement was apparently lodged against it & they (the Eames estate) are now working to get it back up on You Tube where they had uploaded it for hosting. That's a big relief (to me at least) that it didn't vanish forever after all. So if anybody comes along to read this later, it should be up again by then, just google it. 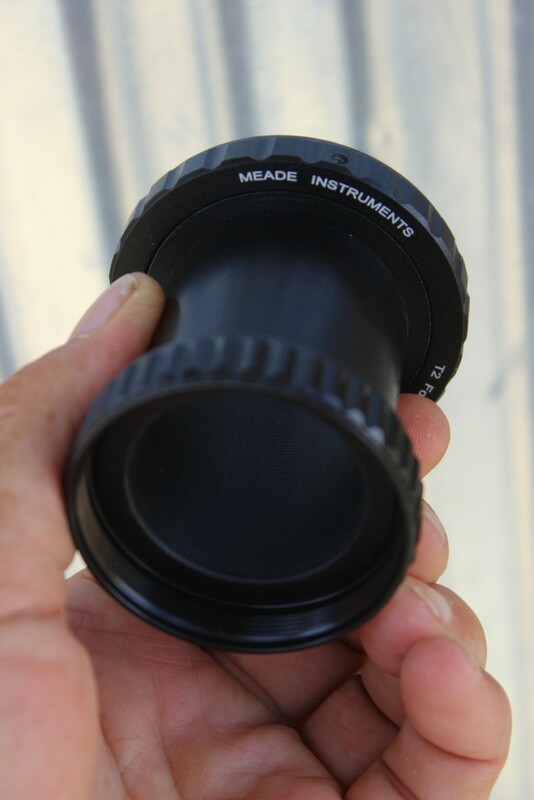 I have a meade LX200GPS-UHTC 10". Bought in 2003. Moved in 2006 to a hilly tree covered spot, so I only used it to look out over the lake and far away mountains. Just brought it here from my sisters in spring of this year, same conditions. Going to sell it hopefully to buy my solar kit to use there. Haven't listed it anywhere yet. I used my Nikon and later canon to take pics through it. HATE getting rid of it but do have an *in newtownian to bring with me.